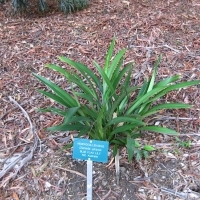 An evergreen tuft-forming perennial. Produces panicles of small star-shaped flowers in summer. Flowers followed by blue berries. Its slim foliage appears a beautiful shade of deep green and produces flowers that sit on stems above the foliage. The flowers and berries appear blue in colour and are produced during Spring and Summer. A great choice for informal borders, under-plantings or rockeries. 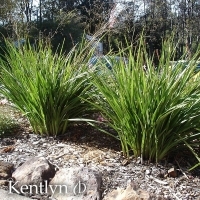 A tufted grass like plant native to North Queensland. 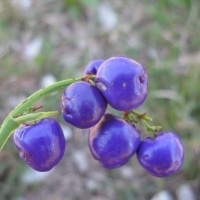 It has deep blue fruits and flowers and grows to a height of 1m.